Looking to liven up your dining table? Find out how with our guide to pairing tableware. Stylishly curated tableware can elevate a dining room setting, leaving a lasting impression on your guests. Bringing together decorative and minimal designs, our collection of fine bone china, creative crockery and dining accessories are perfect for both formal and family settings. Check to see what's included in the set - are the mugs or cups the right size, do you want pasta or salad bowls, what about oven to table serving ware? The type of tableware you select also depends on the application you have in mind. Quality everyday tableware is microwave and dishwasher safe, making it perfect for daily use and large family dinners. With such stresses and strains placed on the tableware, it is important that each piece is budget-friendly and easily replaceable. At the higher end of the price scale, tableware for special occasions is often made of porcelain or fine china that, despite its natural resilience, will still be more delicate. Once you determine how you will use your tableware, look around at your decor. Is it modern or traditional? 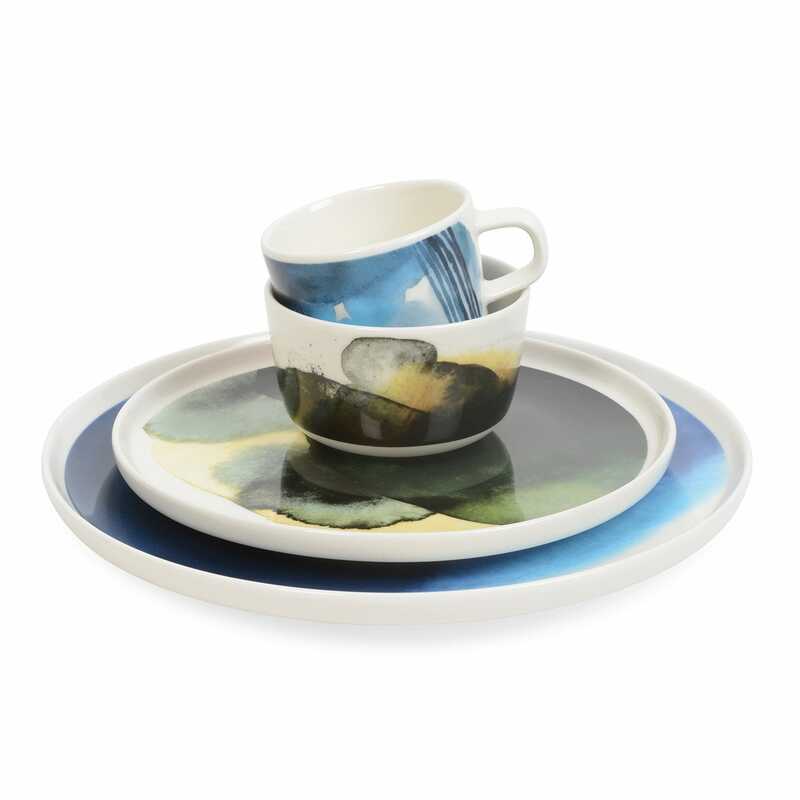 Are there bright colours that you want to subdue with neutral coloured china or vice versa? Whether adding accents of earthenware or creating palettes of patterned china, the style of dinnerware you choose reflects the personality of your home as much as the décor. Porcelain: a hard, white, translucent clay body, usually with a very white and smooth surface when covered in a clear glaze. Porcelain is not reactive, so virtually any food can be stored in it and is often dishwasher, freezer and microwave safe - making it great for everyday use. Bone China: a type of porcelain that is composed of bone ash, feldspar and kaolin. Produced using a vitrifying process that makes the surface tough, glassy and non-porous, providing durability and chip resistance. With its vivid white translucency, bone chine provides the perfect base for more extensive table decoration by allowing other colours to stand out. Fine China: though it is a kind of porcelain, this fine china tends to be thinner and more translucent. However, it remains durable and is usually dishwasher safe. Earthenware: one of the oldest materials used in pottery, the clay is fired at lower temperatures and does not become vitreous. As a result, earthenware will always need to be glazed to ensure it is non-porous. Although it is hard-wearing, it's best to hand wash carefully to avoid chipping. Stoneware: less durable than porcelain, stoneware is fired at lower temperatures to give its distinctive texture. A popular and affordable choice for everyday dining as cookware and for serving.